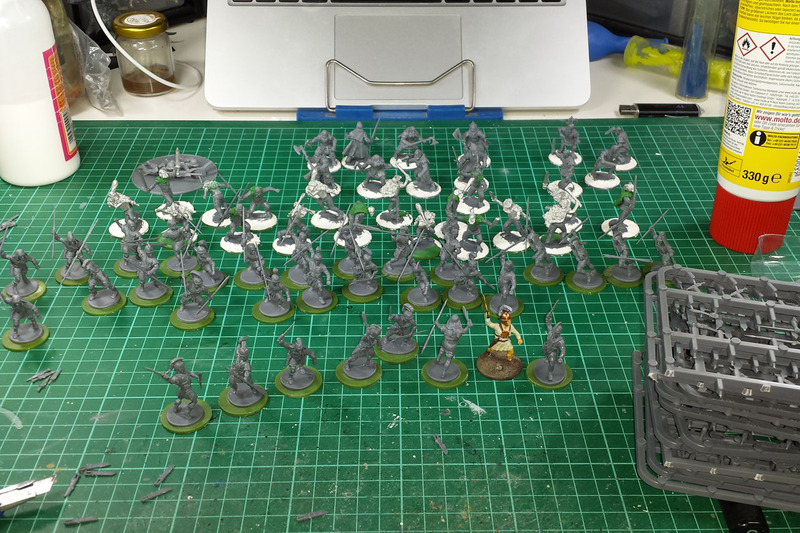 After mustering the Roman and German Warbands for SAGA, and my Victrix miniatures finally arrived, I prepared the next Muster my Warband article covering the Celto-Iberians. 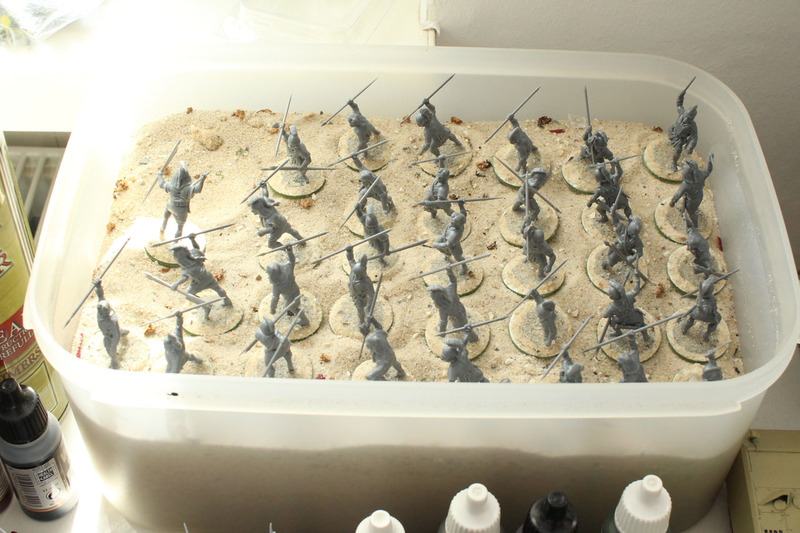 I used filler to even out the bases and added sand in the next step. That keeps someone busy and takes longer than you may think. While doing so, I made use of my amazon prime and netflix accounts, binging a few series on the weekends. Among them the last of the Defenders, The Iron Fist. Well that one didn't really work well for me, it was rather dull compared to the others and lacked pacing. A lot better entertainment was the 6th season of Homeland and Taboo. A few other series came back from the season breaks, Designated Survivor, Better Call Saul and Archer, so there is plenty of visual support for my next paint sessions. 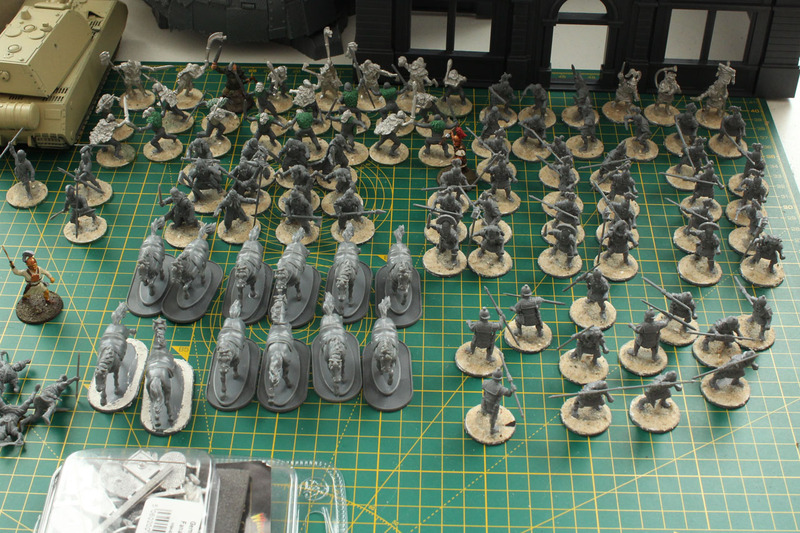 Below you see an overview on the partially based Ancient SAGA warbands of the Germans, Iberians and Romans. 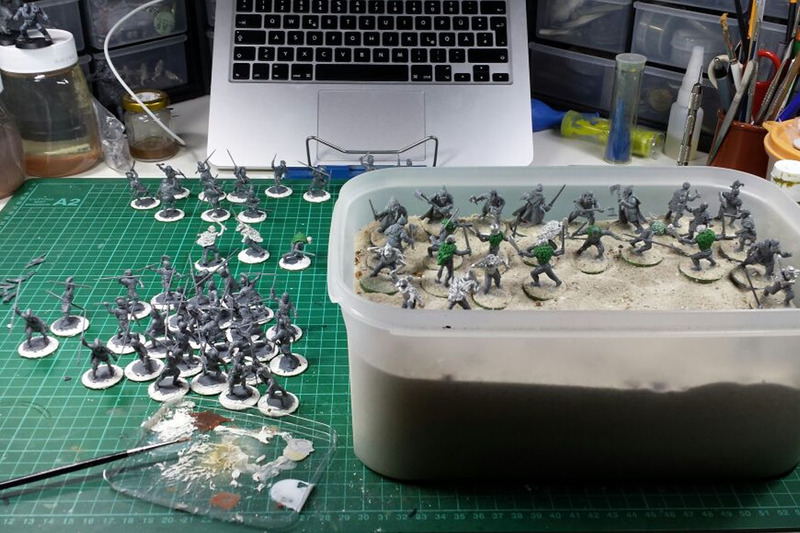 I use filler / spackling paste to do the ground work on the bases and cover that with a coat of pet sand. It is a mixture of fine sand, small stones and shell pieces, and I added a few cork bits to it as well. That gives the bases a rich texture, that works combined with the matching colours and flock / static grass for most scenes. I learned a bit from the last few paint tests and decided to go with a two-tone basecoat. 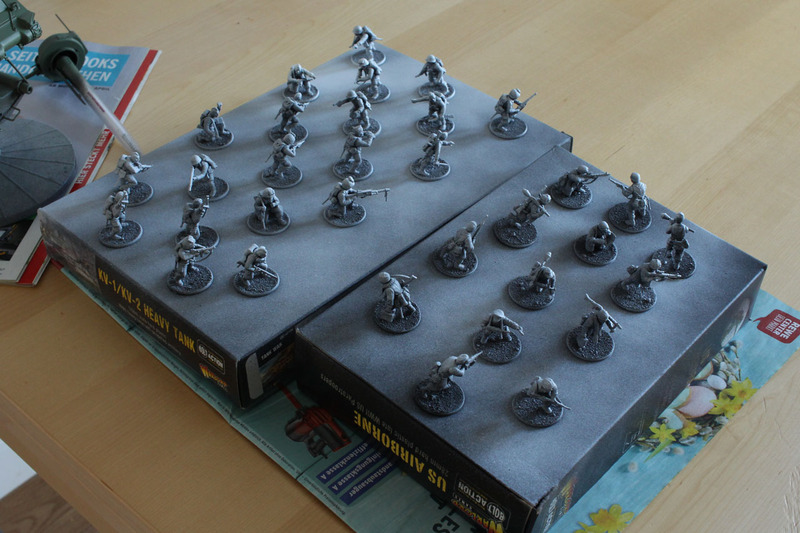 I prime with solid flat black and "dust" the miniatures with a light coat of flat white. 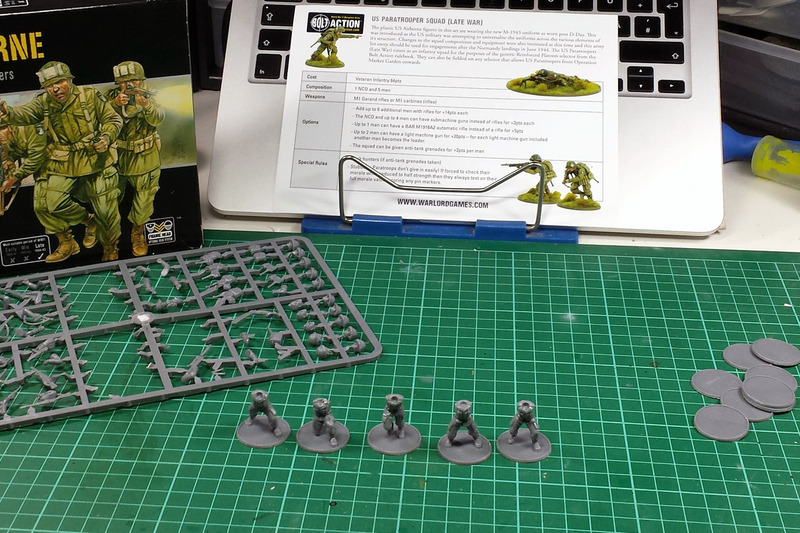 That helps bringing out the details and to determine the different areas on the miniatures, that can be difficult with just a black primer and some colours just don't "pop" with a light primer beneath them. I'm looking into a prolonged easter weekend and have a few things on my hand to get done. Beside finishing a medium sized terrain project, I have two review blocks to prepare. One is for Bolt Action, covering the supplement Campaign: Battle of the Bulge along with the setting up of my Germans in winterdress, most likely a solid week with 3+ articles. 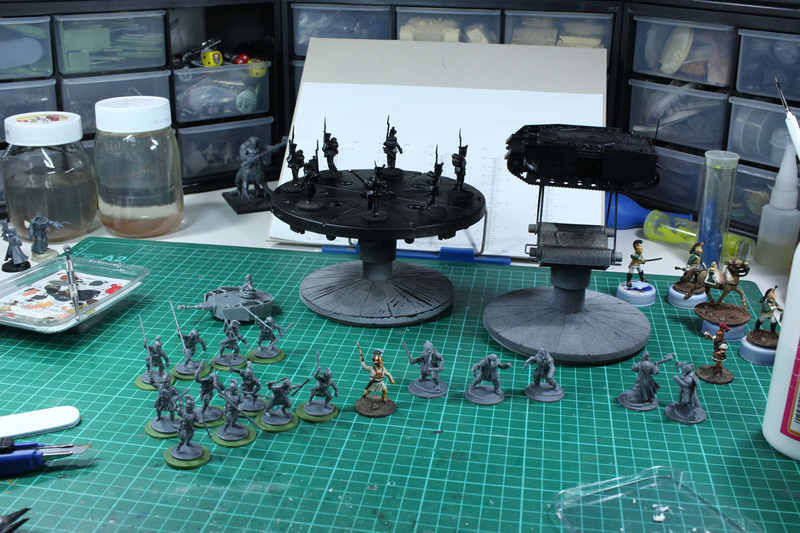 And the other one is going to cover Antares, with a review of the starter set and a few plastic and resin boxes as well. Well, as mentioned above, Easter is coming, I wish you all a great time during the holidays. Stay tuned and thanks for stopping by. If you have any questions or recommendations to the topics above, please feel free to comment.